Lee Surveying & MAPPING Co. Please Join Us in Congratulating Lee Surveying & Mapping Co., Inc. as February's Logan County Chamber Business & Entrepreneur of the Month. 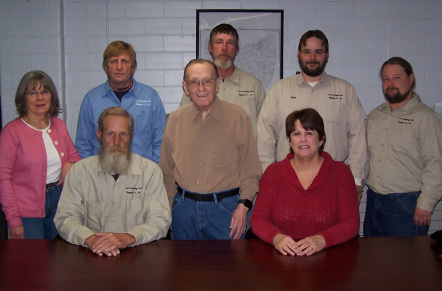 Lee Surveying and Mapping Co., Inc. has been serving Logan County since 1975. It is an expansion of a family owned business that began in Waverly, Ohio around 1953 by James E. Lee, P.E., P.S. James' son Clayton later joined the business. He began as an underground mining surveyor working in southeastern Ohio and later served as a design on-site surveyor on Ohio Route 33 through parts of Athens and Hocking Counties. When World War II began, he began laying out shipbuilding yards on the Ohio River. He later worked on creating emergency pipeline easements from as far away as Kearny, Nebraska and southern Texas toward Marion, Ohio. By 1952, he was surveying I-70 through Springfield and in 1953-1954, he was surveying the atomic plant at Piketon, Ohio where he met some of the management from Knowlton Construction. When traveling I-270 around Columbus, you are seldom out of sight of buildings that Lee Surveying has been involved with, many on the Ohio State University Campus. Clayton's son, Jeff Lee, later joined the business, and on January 3, 1996, it was incorporated with three owners: Jeffrey Lee, P.S., William K. Bruce, P.S., and Jeffrey Woods. 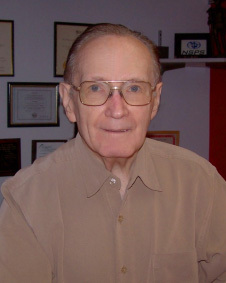 Wood's retired in 2001 and Lee followed into retirement in December of 2006. In October of 2016, William Bruce passed away and Jeffrey Lee came out of retirement to operate the business until a new owner can be found. The company is a broad based survey company which gives them an edge with any change in the economy, but the primary emphasis of their business has always been construction staking. This includes boundary retracement, topographical mapping, construction layout, as well as mortgage and title surveys. In the past, they have specialized in construction surveying from as-built surveys and topographical pre-design surveys, to final staking. They have worked on a variety of projects ranging from single family residence units to schools, hospitals, retail facilities, factories, and large warehouses. Their prime service has always been large layout, but their employees are cross trained in many technical fields with years of experience and specialized equipment to accomplish almost any project. Throughout the last few years, the owners have been faced with major illnesses and surgeries and they credit their staff for their hard work and dedication during some difficult times. One public service project the company is proud of was the preservation of the integrity of Ohio's Highest Point in 1998. Mr. Robert Walker of Ohio Hi Point informed Jeff Lee that there were two 40,000 gallon fuel oil tanks beside the high point. The EPA required they be removed. The fear was that the high point might move or sink when the tanks were taken from the ground. Lee Surveying provided precise leveling bench marks and William Ellison, P.S. from Cincinnati volunteered his services to do a precision GPS location on the high point monuments (very expensive in 1998). Once the tanks were removed and the hill reshaped, Lee Surveying and Mr. Ellison returned. The elevations and locations of the monuments were checked and determined to be safely where they were supposed to be. They currently run two survey field crews and staff of approximately 10 people. Their crew chiefs have an average of 18 years of experience in construction layout and boundary/topographic surveys. They employ two drafting experts with over 32 years of combined experience. They use modern electronic equipment and have a completely computerized operation for fielding and mapping. Lee Surveying's owners have been active in professional and community organizations over the years including but not limited to: Bellefontaine City Council, Kiwanis, Elks, Logan Union Champaign Planning Commission, Indian Lake Watershed, National Society of Professional Surveyors, The Professional Land Surveyors of Ohio, and the Treaty Lands Chapter of PLSO. One unique marketing strategy they have adopted happened accidently; never have two business vans the same color. Jeff was attending a township meeting and when he introduced himself to a new trustee, the trustee said, "I know of that company! I see their trucks everywhere. The blue one going that way, the green one this way, just as the white comes along." We thank Lee Surveying & Mapping Co., Inc. for their 28 years of chamber membership and for their service and commitment to Logan County. Lee Surveying & Mapping Co., Inc.